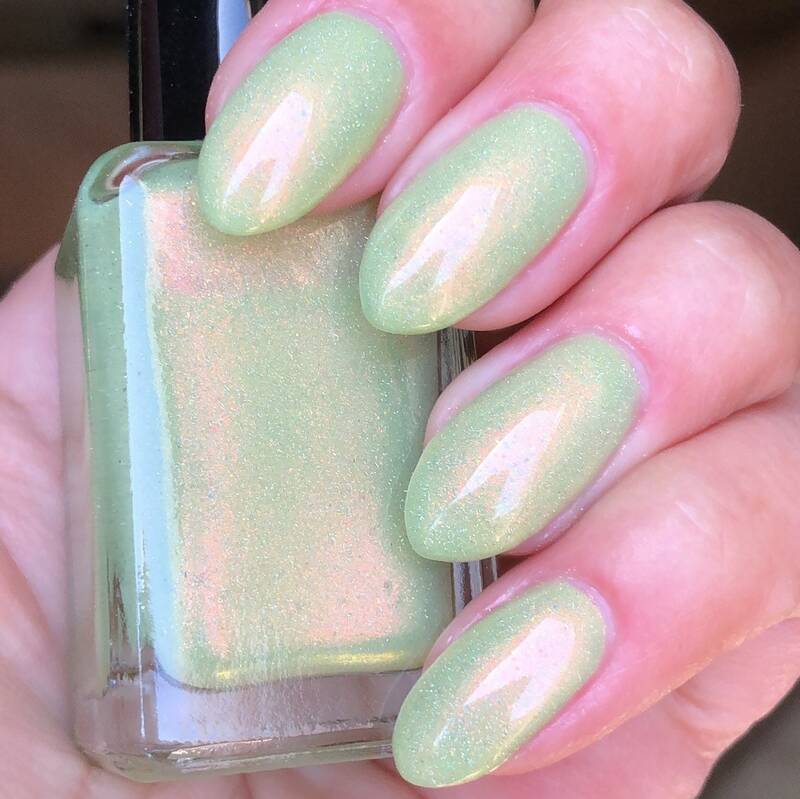 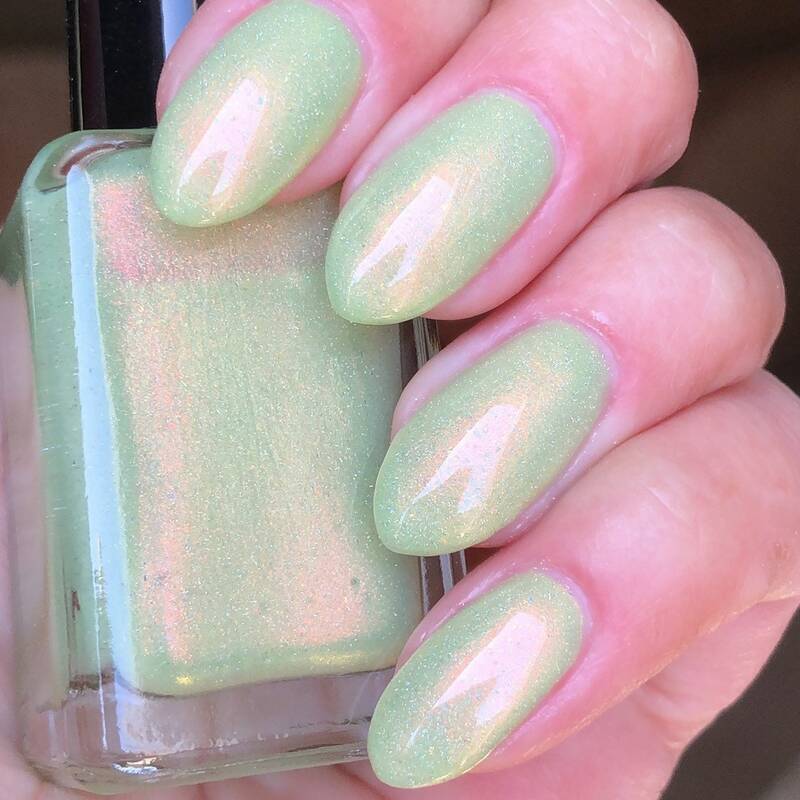 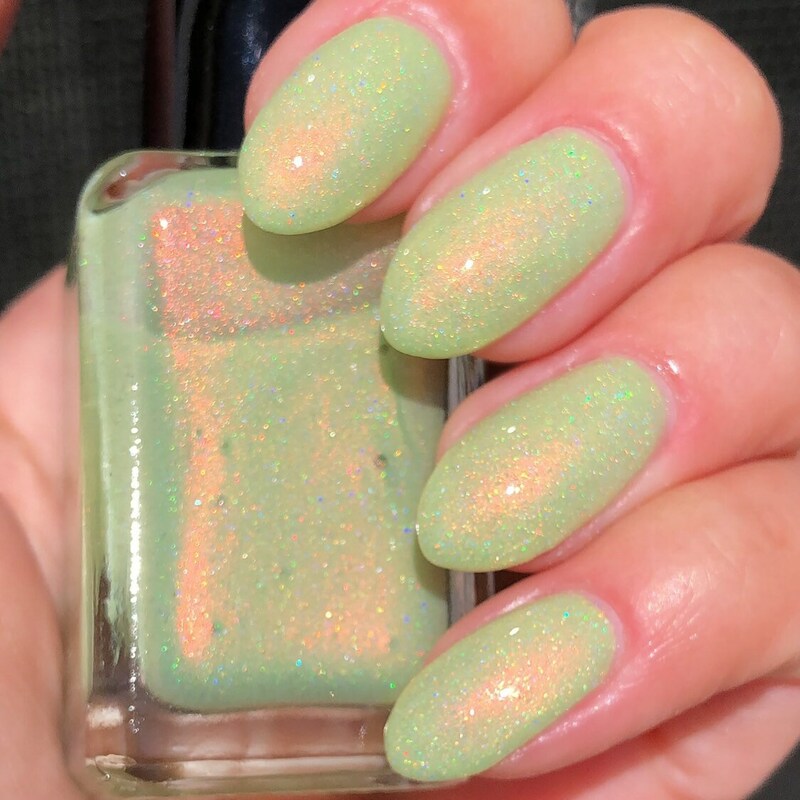 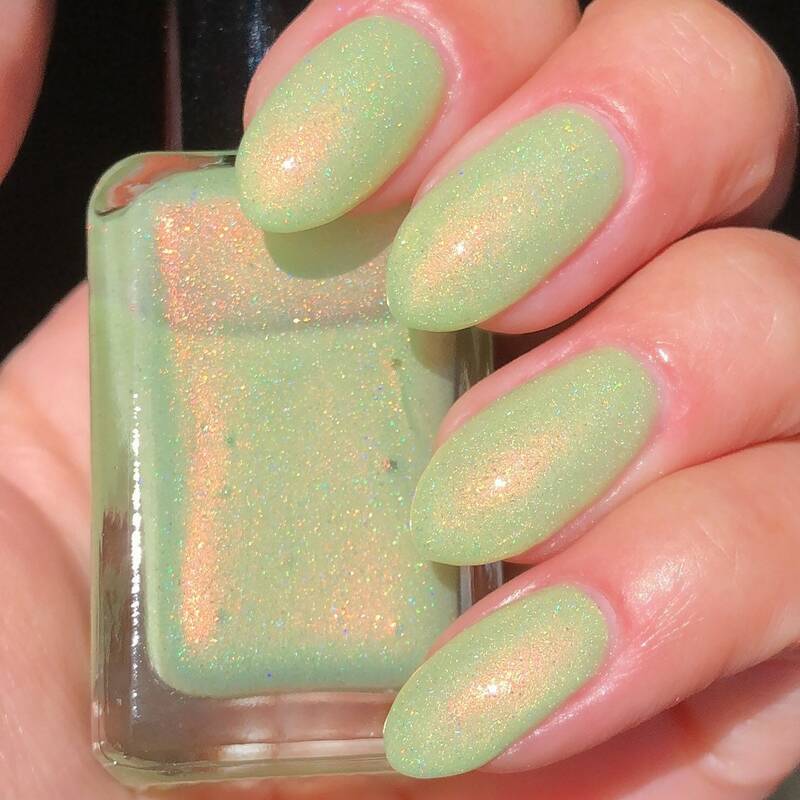 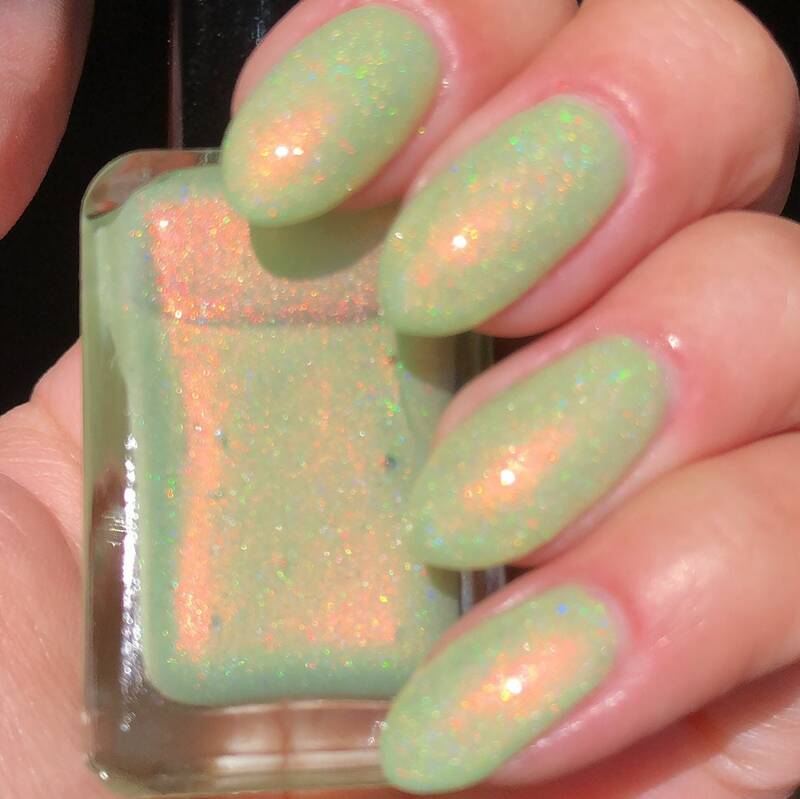 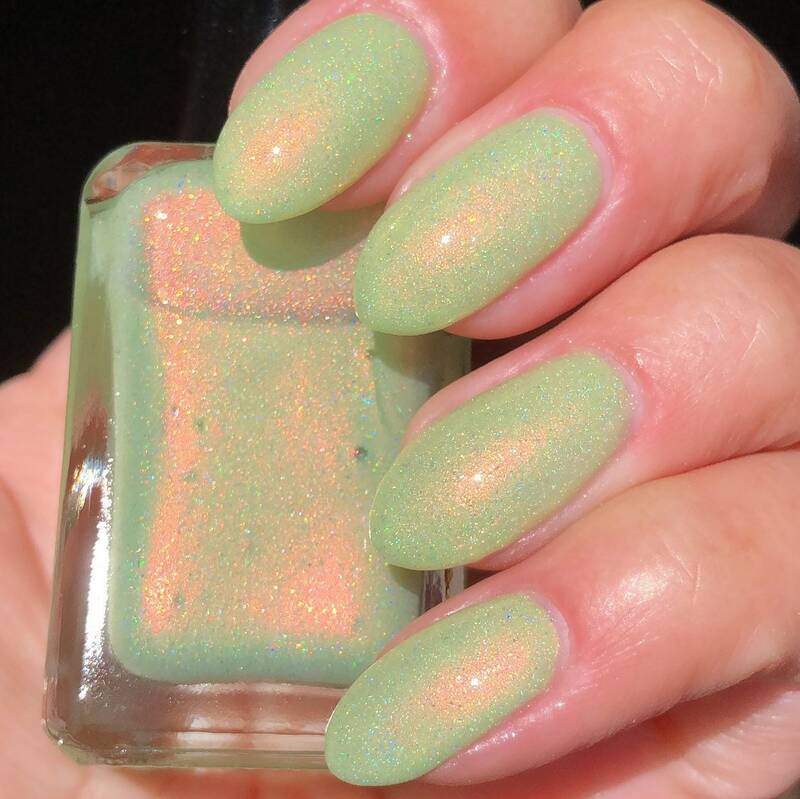 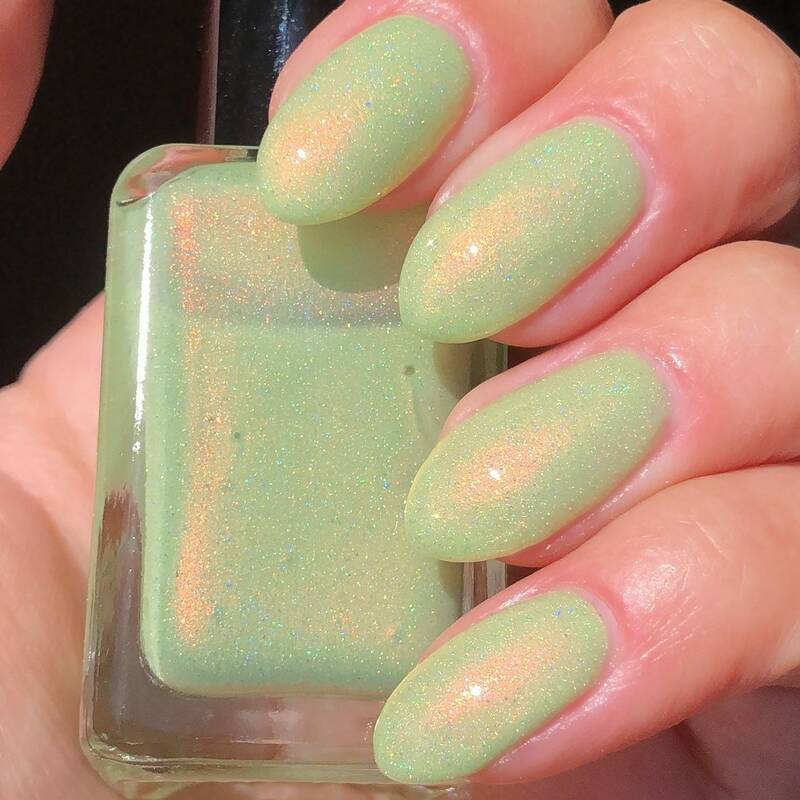 This is a lime green polish with intense copper iridescent shimmer and aurora pigment, and holographic micro flakes. 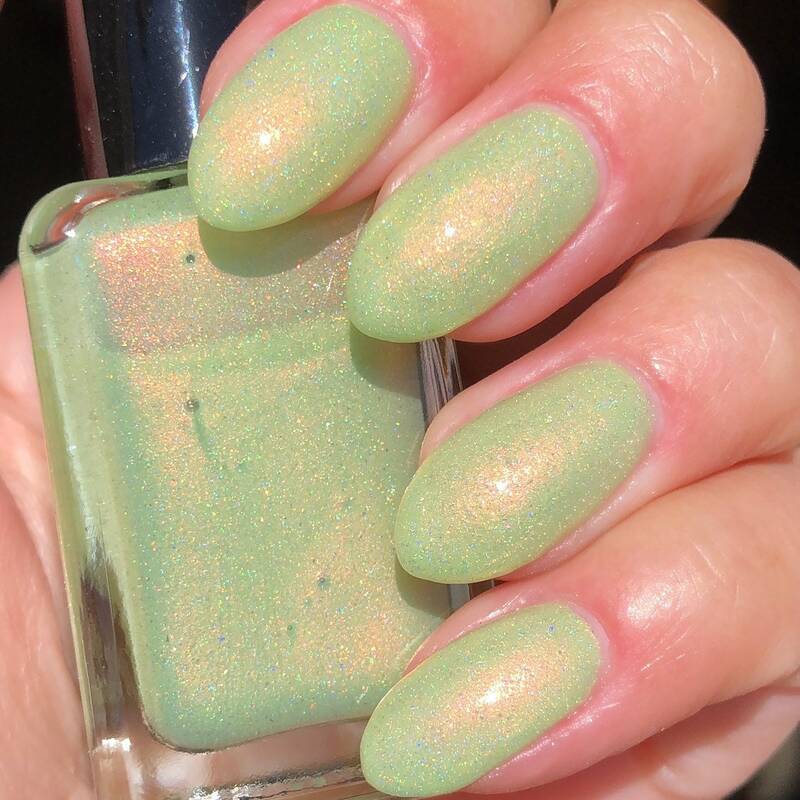 The swatches show three coats with Top Glass top coat. Full size, 10 Free, hand mixed polish.